Few segments in the automotive world are more competitive than the midsize sedan class. Countless models promise an efficient and fun-to-drive performance, an impressive array of features and a distinct style at affordable prices. With that being said – few can compete with the Toyota Camry. After a complete redesign, the 2018 Toyota Camry is more impressive than ever and will go toe to toe with tough competition. Explore the redesigned Toyota Camry with this 2018 Toyota Camry vs 2018 Kia Optima comparison at Downeast Toyota. Expected to arrive at dealerships in the summer of 2017, the next-generation 2018 Toyota Camry will feature a bold style and design that is built on Toyota New Global Architecture. Longer, lower and wider than its predecessor, the updated Toyota Camry promises to be more athletic than ever before. Available in five trim levels – L, LE, XLE, SE and XSE – the Toyota Camry can be tailored to fit your lifestyle. An added bonus for families on the go is the addition of standard Toyota Safety Sense technology to the Camry spec sheet. What Are the Differences Between the Toyota Camry and Kia Optima? A longstanding favorite in the midsize sedan class, the 2018 Toyota Camry promises to deliver incredible value with a wealth of standard features and an affordable price tag – a combination that the Kia Optima cannot match in this 2018 Toyota Camry vs 2018 Kia Optima debate. 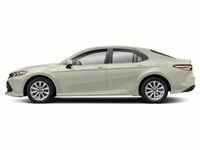 Toyota Camry L models start at just $23,495 and will provide a more athletic and efficient performance than the Kia competition with an impressive list of features. At the heart of the 2018 Toyota Camry design, you will find an all-new 2.5-liter four-cylinder Dynamic Force Engine that will shell out an impressive 206 horsepower and 186 pound-feet of torque. Married to a Direct Shift eight-speed automatic transmission, the four-cylinder Toyota Camry will achieve an EPA-estimated 29 mpg in the city and 41 mpg on the highway. Drivers in search of more pronounced thrills can opt for a refined 3.5-liter V-6 engine that employs Toyota D-4S fuel injection technology to make 301 horsepower and 267 pound-feet of torque. Paired with the eight-speed automatic transmission, the potent powertrain will still make 22 mpg in the city and 33 mpg on the highway. Kia Optima models counter with three available engine options. 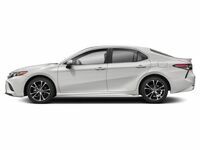 A standard 185-horsepower 2.4-liter four-cylinder engine gets paired with a six-speed automatic to make 25 mpg in the city and 36 mpg on the highway – numbers that fall well short of the four-cylinder Camry. The Kia Optima LX 1.6T employs a 178-horsepower 1.6-liter turbocharged four-cylinder that is mated to a seven-speed dual-clutch automatic transmission and makes a humdrum 28 mpg in the city and 37 mpg on the highway. Top-of-the-line Kia Optima models feature a 245-horsepower 2.0-liter turbocharged four-cylinder that makes 22 mpg in the city and 31 mpg on the highway. Technophiles will love what the next-generation 2018 Toyota Camry brings to the table. With the implementation of the Toyota Entune 3.0 infotainment system, you will enjoy unrivaled entertainment and connectivity. 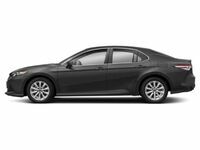 Entry-level Toyota Camry models feature a seven-inch touchscreen display with access to Entune App Suite and Connect Navigation Scout® GPS Link technology. Upper trim levels will add Remote Connect, Service Connect, 4G LTE Wi-Fi Connect and much more. An available 10-inch color Head Up Display promises to deliver an incredible ride. Experience the new and improved 2018 Toyota Camry firsthand when you visit Downeast Toyota this summer!